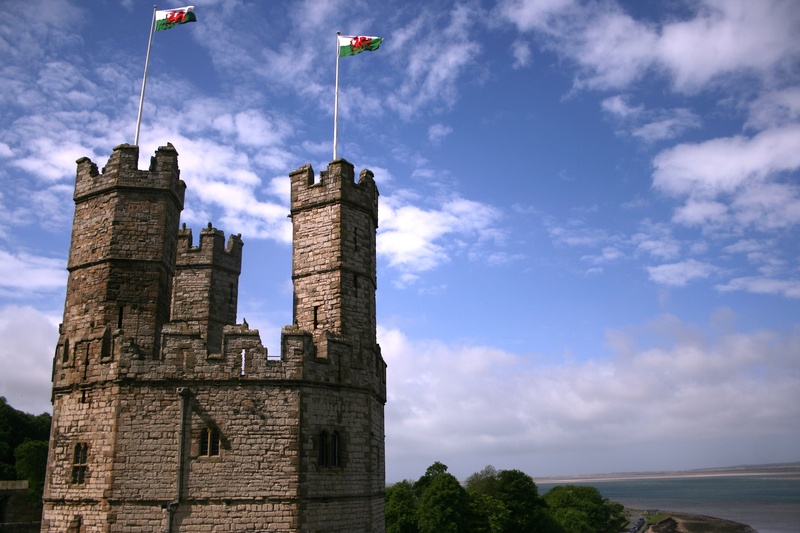 Enjoy travel photography from Caernarfon Castle. You’ll never forget travel photos from Wales and Caernarvon Castle. Caernarfon Castle in the town of Caernarfon was built by Edward I in order to secure the Welsh populations in the North of Wales. While it’s construction began at the end of the 13th century, the castle was not only a menacing fortification, but also a seat of government for Edward I. Designed to look like the walls of Constantinople, the castle was a stunning and terrifying sight for those who lived in its shadow and provides fascinating history for the average tourist traveling through Wales.